While in Mexico, you may encounter road conditions that differ significantly from those in the United States. The information below concerning Mexico is provided for general reference only, and may not be totally accurate in a particular location or circumstance. Public transportation vehicles, specifically taxis and city buses, often do not comply with traffic regulations, including observing speed limits and stopping at red lights. Continued concerns regarding criminal activity on highways along the Mexican border (which includes placement of illegal checkpoints and the murder of persons who do not stop and/or surrender their vehicles) have prompted the U.S. Mission in Mexico to impose certain restrictions on U.S. government employees transiting the area. Effective July 15, 2010, U.S. government employees cannot drive from the U.S.-Mexico border to or from any post in the interior of Mexico or to and from Central America. This policy does not apply to employees traveling to border posts (Tijuana, Nogales, Ciudad Juarez, Nuevo Laredo, and Matamoros) from the United States or to travel between Hermosillo and Nogales. U.S. driver's licenses are valid in Mexico. Mexican law requires that only owners drive their vehicles, or that the owner be inside the vehicle. If not, the vehicle may be seized by Mexican customs and will not be returned under any circumstances. The Government of Mexico strictly regulates the entry of vehicles into Mexico. Traffic laws in Mexico are sporadically enforced and, therefore, often ignored by drivers, creating dangerous conditions for drivers and pedestrians. Driving under the influence of alcohol is illegal in all parts of Mexico. Using a mobile device (such as a cell phone) is also prohibited while driving in many parts of Mexico, including Mexico City, and violators may be fined. Motor vehicle accidents are a leading cause of death of U.S. citizens in Mexico. Motorists should exercise caution and remain alert on all Mexican roads. If you have an emergency while driving, the equivalent of “911” in Mexico is “066”, but this number is not always answered. If you are driving on a toll highway (or “cuota”), or any other major highway, you may contact the Green Angels (Angeles Verdes), a fleet of trucks with bilingual crews. The Green Angels may be reached directly at (01) (55) 5250-8221. If you are unable to call them, pull off to the side of the road and lift the hood of your car; chances are that a patrolling crew will find you. Avoid driving on Mexican highways at night. Even multi-lane expressways in Mexico often have narrow lanes and steep shoulders. Single-vehicle rollover accidents are common, often resulting in death or serious injury to vehicle occupants. Use extreme caution when approaching towns, driving on curves, and passing large trucks. Wear seatbelts at all times. Criminal assaults have occurred on highways throughout Mexico; travelers should exercise extreme caution at all times and should use toll (“cuota”) roads rather than the less secure “free” (“libre”) roads whenever possible. Always keep car doors locked and windows up while driving, whether on the highway or in town. While in heavy traffic, or stopped in traffic, leave enough room between vehicles to maneuver and escape, if necessary. In addition, U.S. citizens should not hitchhike or accept rides from or offer rides to strangers anywhere in Mexico. Please refer to our Road Safety Page for more information. Vehicular traffic in Mexico City is restricted in order to reduce air pollution. The restriction is based on the last digit of the vehicle license plate. This applies equally to permanent, temporary, and foreign (U.S.) plates. For additional information, refer to the Hoy No Circula website (Spanish only) maintained by the Mexico City government. In recent years, moped rentals have become very widespread in Cancun and Cozumel, and the number of serious moped accidents has risen accordingly. Most operators carry no insurance and do not conduct safety checks. The U.S. Embassy recommends avoiding operators who do not provide a helmet with the rental. Some operators have been known to demand fees many times in excess of damages caused to the vehicles, even if renters have purchased insurance in advance. For additional information concerning Mexican driver’s permits, vehicle inspection, road tax, mandatory insurance, etc., please telephone the Mexican Secretariat of Tourism (SECTUR) at 1-800-44-MEXICO (639-426). 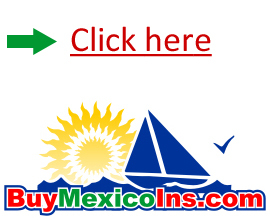 Travelers can also consult MexOnline for further information regarding vehicle inspection and importation procedures. For detailed information in Spanish only, visit Mexican Customs’ website Importación Temporal de Vehículos (“Temporary Importation of Vehicles”). Travelers are advised to consult with the Mexican Embassy or the nearest Mexican consulate for additional, detailed information prior to entering Mexico.